Reports: Turkey shuts down social media in response to airport bombing; Toyota recalls 3m-plus cars for multiple defects; Brexit group thanks U.S. firm for its help; E.U. antitrust body to closely scrutinize Bayer-Monsanto deal; Trump campaign adds key digital staffer, pulls closer to Clinton in one new poll. Toyota is recalling 3.4 million Prius models due to two separate defects. Leading Wednesday morning’s news cycle: Tuesday evening’s bombing at Ataturk Airport in Istanbul has claimed the lives of 41 and injured 239 people. The Islamic State is the main suspect in the terrorist attack. U.S. airports have beefed up their security in response. The Turkish government, not a friend to the internet on the best day, has reportedly blocked some social media sites since the bombings. Donald Trump and Hillary Clinton issued very different statements condemning the attack. Toyota Motor has recalled nearly 3.4 million cars around the world due to separate emissions and airbag issues. Problems with emission-control units are to blame for 2.9 million cars being recalled, and airbag issues are the reason for the more than 1.4 million other cars cited. 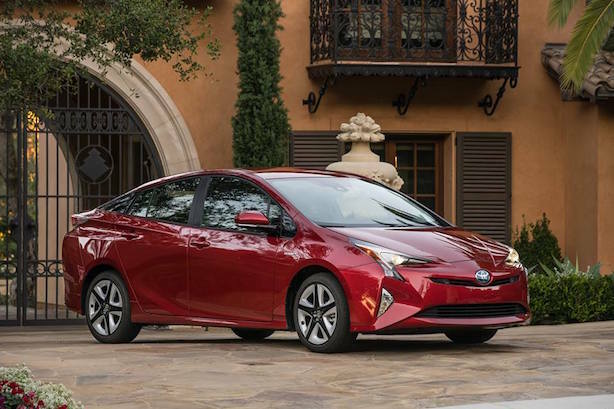 Some Prius models may have both defects. No customer injuries have been tied to either issue. One pro-Brexit group in the U.K. has thanked a Washington, D.C.-based firm for its assistance during the campaign to get Britain out of the European Union. The co-chair of Leave.EU praised referendum specialist shop Goddard Gunster for lending it a hand during the push. Ten staffers from the firm were assigned to the Leave.EU account, with some embedded in the organization’s London office. The European Union’s antitrust agency will review Bayer’s pending $62 billion acquisition of Monsanto, it said Wednesday morning. The body has expressed concern about the effect the deal could have on prices, the availability of seed products, and research. The antitrust agency’s announcement was made unusually early, before it had received official notification of the acquisition. Donald Trump’s campaign has added another key staffer: Vincent Harris, former chief digital strategist for Rand Paul. It’s not clear what role Harris will play on Team Trump, according to Politico. The Texas-based operative has worked for Rick Perry and Newt Gingrich, as well as Israel’s Likud Party. Campaign trail watch: A Quinnipiac University national poll has Hillary Clinton running only two points ahead of Donald Trump, though the research is out-of-line with other recent polls that show the Democratic candidate with a more sizable advantage. Trump is reaching out to sports legends Mike Tyson and Mike Ditka to speak at the Republican National Convention next month.